We all have been procrastinating something or the other every now and then. 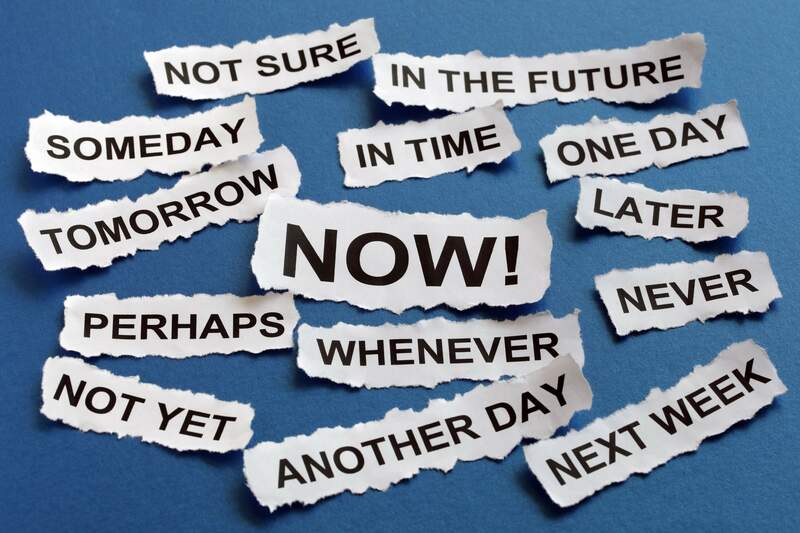 While we subconsciously procrastinate, we cannot consciously deal with it. You're a perfectionist if you want your endeavors to be all perfect, without a single glitch. You won't settle for anything less than perfect and this is why you hesitate to begin or end it. How to deal with it: Set realistic goals rather than idealistic ones. Stay practical and don't run towards perfection. Break down your tasks or goals for a given set of days and try to work each day towards it. You're a dreamer if you like to think about unachievable goals with fanciful ideas. These unattainable goals makes are difficult to implement and that's the sole reason you give up even before you start. How to deal with it: Set realistic goals with precise details and not just vague ideas. Ambiguity makes it more than just a confusion. Plan with details making it more than just a fancy idea and then it'll be easier to work for your goals. If you worry too much about the deadlines and if you fear taking risks, then you fall under this category. Change is an inevitable part of our lives and stalling and dreading it can do you harm. How to deal with it: Time to throw all your ‘what ifs’ to the trash! Embrace the change that you're to face and get out of your comfort zone. Plain with details. Take risks and don't be fearful of the downfall, for it will only drag you down. The crisis makers are those who only seem to work under the pressure of a deadline. If you seem to think that only such pressure and stress can make you work, you're probably wrong. How to deal with it: Deadlines and due dates are a part of your goal. Don't make them as motivators guiding your internal rush. Before delaying, know why you started in the first place. Let your goal motivate you and let your aim be your driving force. Keep rewarding yourself after little accomplishments and stay optimistic for all the opportunities. If you feel like you want to rebel against the deadlines and you question ‘why should I?’ every time when you're given a task with a due-date and you keep breaking rules and making your own ones, then you are this type of procrastinator. How to deal with it: Channel your thoughts and understand that defiance won't let you escape your part of the work. Reorganize your priorities and set aside everything while you think about how this behavior will affect you in long term. Set weekly goals and reward yourself when you finish them on time. If you can't say no to anyone and burden yourself with all the responsibilities of the world, and later if you procrastinate one work for the sake of other ones, then you're an over-doer. How to deal with it: Learn to say no. If you have too much on your plate already, don't load yourself with more. Be responsible with whatever task you take up and assure yourself that when you complete it, you'll take up another one. Make a to-do list and follow it until your target is achieved. So bid adieu to the side of yours that procrastinates and say hello to the cusp and raises of the new you!